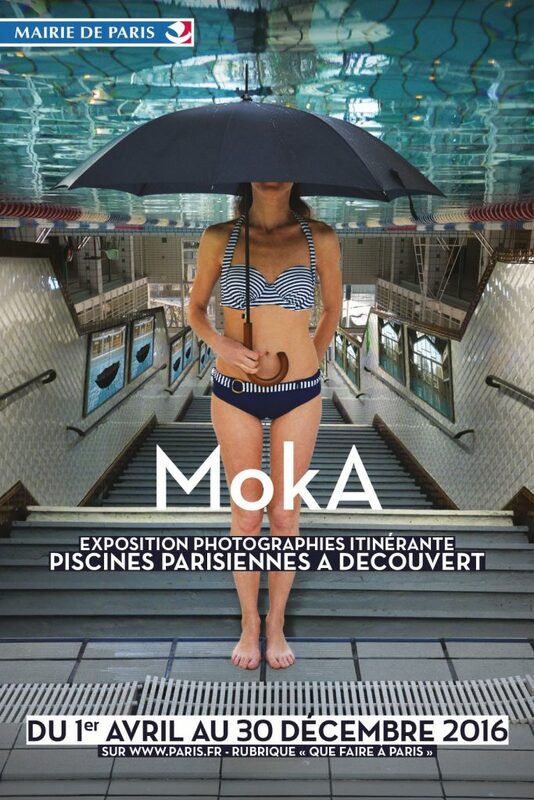 The travelling exhibition “MoKa: Parisian swimming pools uncovered”, produced by Karim Adjali and Olivier Maître, will be showcased across many of Paris’ pools. Jump fully-clothed into an offbeat world of photomontages, which adds a twist of fantasy to the indoor pools of the capital! Up until December 2016, the swimming pools of Paris morph into museums to welcome, in succession, a playful and curious display produced by Karim Adjali (lifeguard at the Dunois swimming pool) and Olivier Maître (graphic artist). Their project aims to contrast two opposing environments in order to create a shift, to tell new tales and to merge real and imaginary. Their array of photomontages thus offers a symbolic and fanciful aperture into these enclosed spaces, bringing the outside world to indoor swimming pools, to better incite us to dream. This gives us all the more reason to swim… and to dream around the (uncovered!) pools of the capital. View and download the exhibition booklet. More information at www.paris.fr – “que faire à paris”.